Over 5.0 billion people around the globe are advanced mobile users. It has become the single most important lifeline to connect, conduct business, entertain, buy & sell and pay through the course of our daily lives. 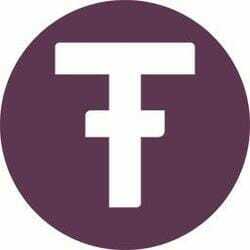 Treon (TXO) will use the mobile phone as the bridge for customers to harness the power of blockchain technology and cryptocurrency. According to the World Bank and GSMA, 3.8 billions of all global mobile users are unbanked. Treon token (TXO) aims to bridge the digital divide for the unbanked, giving them opportunities to participate in the ever-growing online space. The real opportunity of this fast-moving digital economy is yet to be fully explored across the different utility sectors. The growth and market potential are in the trillions of US dollars across telecom, electricity, natural gas, green energy and water sectors. Treon (TXO) is poised to seize scalable and sustainable growth opportunities in these sectors over the next 5 years.